If you were injured in a Miami car accident or a slip and fall in South Florida and need orthopedic surgery, there is an excellent chance that you might end up at Doctors Hospital in Coral Gables. It is one of the best-known facilities for orthopedics in South Florida. The Doctors Hospital accident attorneys at the Wolfson Law Firm in Miami have represented and assisted personal injury clients who received their medical care at Doctors Hospital over the years. In fact, our attorneys have been helping people since 1963 and they are ready to help you too. Just call us for your free consultation at (305) 285-1115. Doctors Hospital is one of the key facilities of the Baptist Health South Florida. It is located at 5000 University Drive in Coral Gables and was founded in 1949. The hospital has 281 beds. In 2015, it registered 19,943 emergency center visits; 6,384 admissions; and 4,309 outpatient surgeries. Doctors Hospital has 990 employees and 681 physicians. Unfortunately, the good people of South Florida sometimes suffer serious injuries in all kinds of accidents. There are few events that can disrupt a life like an unexpected accident. Our Miami injury lawyers and accident attorneys call this the “ripple effect”. Just as a pebble dropped in the middle of a lake will cause ripples to extend out in all directions, an accident can also have a similar effect on your life. It is up to you to take the necessary steps to limit the damage and that starts with getting the help that you need – like the best Miami personal injury lawyer that you can find. At the Wolfson Law Firm, our Doctors Hospital Accident Attorneys are ready and available to help you. 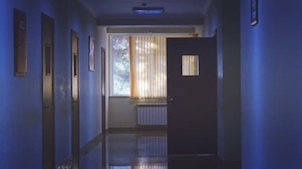 Our offices are minutes away from Doctors Hospital and we can meet you at the emergency room or in your hospital room. You can come to our offices at 3399 SW 3d Avenue in Miami. But you need to take the first step and call us at (305) 285-1115 so we can get to work for you. No matter what kind of injury you sustain in an accident, our injury attorneys in Miami know what to do to help you put the pieces of your life back together. It’s never easy but it is possible. You only need to make sure that you have the team – medical and legal – to help you make the best recovery that you can. Our personal injury attorneys near Doctors Hospital in Coral Gables are here to help you and your loved ones. We have been very fortunate to be in the position of helping clients in South Florida since 1963. In that time, we have helped communities and neighborhoods of Coral Gables, South Miami, Coconut Grove, The Roads, Shenandoah, Coral Way, Dadeland, Gables-By-The Sea, Kendall, Sunset, Homestead, Kendale Lakes, The Hammocks, Princeton, Miami Beach, Key Biscayne and Downtown Miami. Call us today to speak with our personal legal injury team and get the responsive legal help that you deserve. You can get your free consultation by calling us at (305) 285-1115.